black forest brownies | omfg. so good. 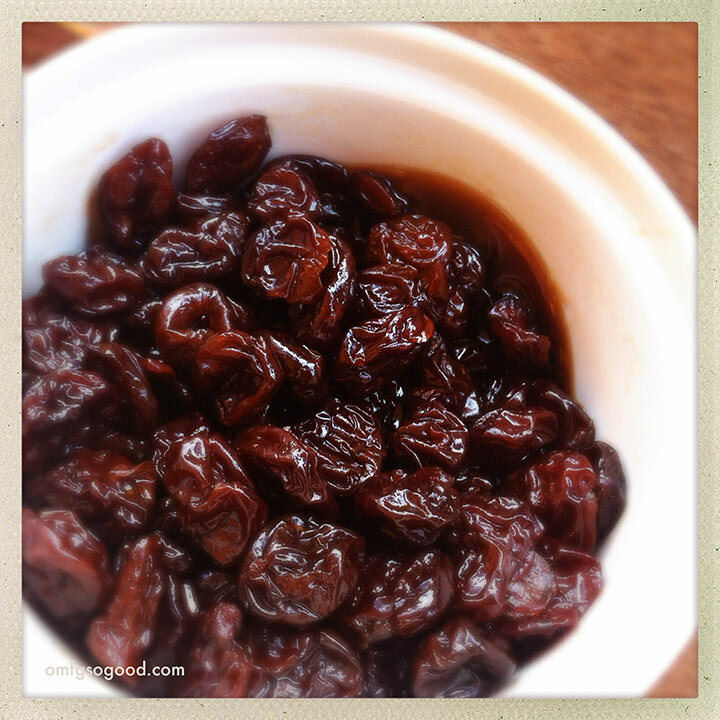 Kirsch soaked dried tart cherries. White chocolate chunks. 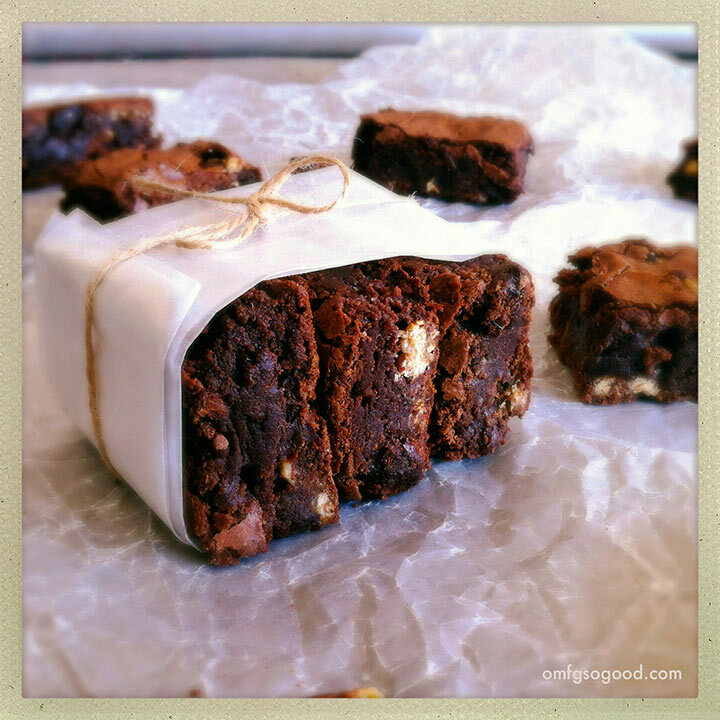 Dark chocolate chewy, fudgy, brownie perfection. That’s pretty much all I have to say on these. Other than, make them now. Then eat them. Eat all of the brownies. In a small bowl, combine the dried cherries (I love these dried Montmorency cherries from Target) with the Kirsch and let them soak for around 30 minutes, then drain off any extra brandy. Preheat the oven to 325 degrees. Line a 9 x 13″ pan with parchment paper, leaving extra on the sides to use as handles to lift out the brownies when they’re done baking, and set the pan aside. In a microwave safe bowl, melt the dark chocolate chips with the butter for 30 seconds, stir, then melt for another 30 seconds. Add the espresso powder, stir to finish melting the chocolate and butter and combine completely. Transfer to a medium mixing bowl, then whisk in both the brown and white sugars. Whisk in the eggs, one at a time, and the vanilla. Stir in the flour and salt, then fold in the white chocolate chunks and Kirsch soaked cherries. Spread the batter in the prepared pan and bake in the preheated oven for 45 minutes. Let the brownies cool in the pan on a wire rack to room temperature, then lift them out using your nifty parchment paper handles. Cut them into rectangles (or squares, even triangles… Shapes all over the place. It’s your call.) Pour yourself a nice cold glass of milk (or almond milk if you prefer) and eat the brownies. This rocks! I want to try this one.